Rhubarb-infused gin is a spectacularly simple recipe. There's not much to it - grab a pound of the pinkest rhubarb stalks from the farmer's market and a decent bottle of gin (nothing too fancy), and get ready to have a party. This rhubarb gin is fantastic in gin and tonics, and if you're scouting for more drink ideas, I've shared my rhubarb gin and elderflower cocktail below. It's a delightful mid-summer aperitif. 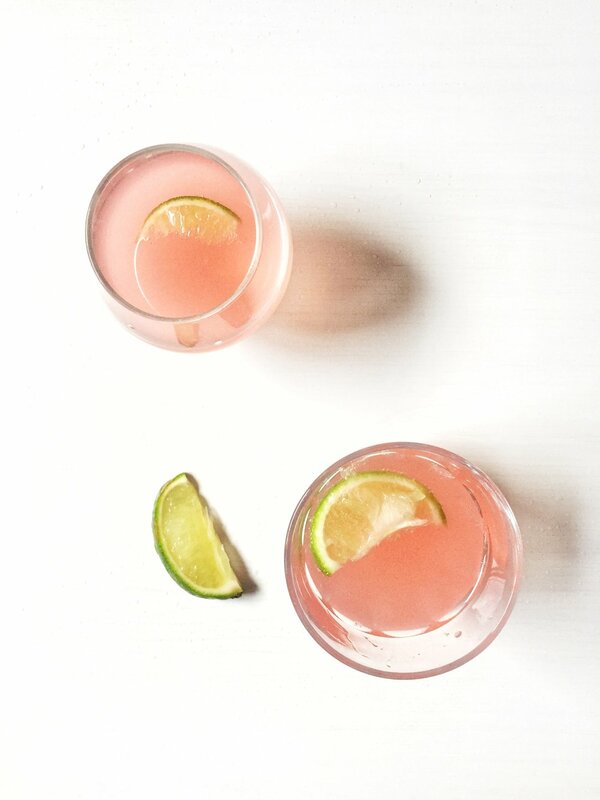 Rhubarb gin is also lovely with a splash of seltzer or prosecco. 1. Add the cut rhubarb to a large 1-liter mason jar. Add the sugar and pour in the gin. Give the jar a vigorous shake. 2. Store the jar in a cool dark area for about two to three weeks, giving the jar a good shake every few days. The gin will be a deep pink color when it's ready. Strain the gin through a fine mesh sieve into your desired bottle of choice. Enjoy with cold tonic water and lime or try out my Rhubarb Gin & Elderflower cocktail below. Add the rhubarb gin to a coupe glass. Top with elderflower soda. Squeeze the juice of a lime wedge into the glass, drop it in (if desired), and give it a good swirl.